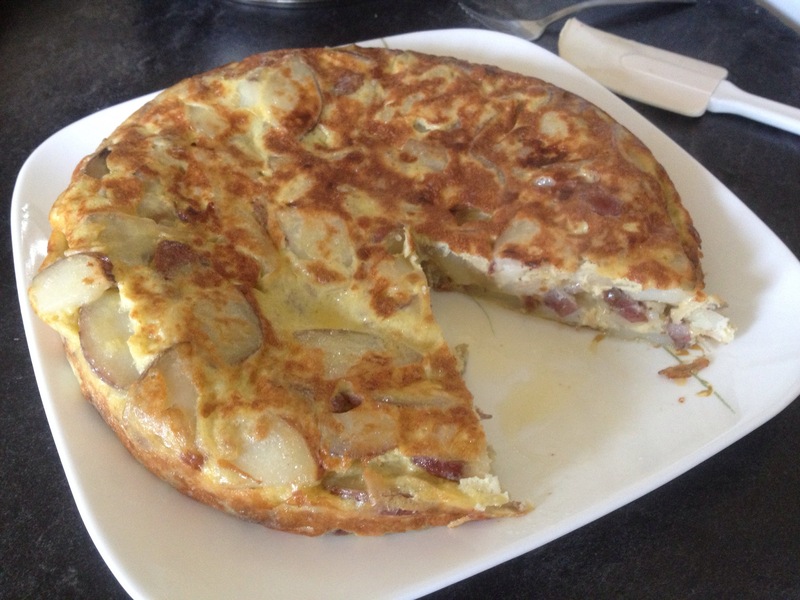 This dish is like a potato quiche, but with more potato than egg. 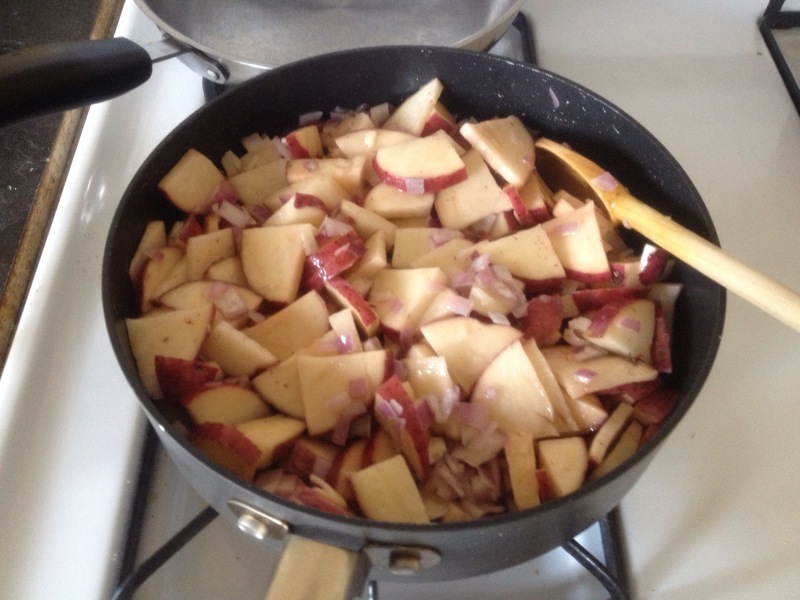 There are only four ingredients: oil, egg, onion, and potato. The hardest part is flipping it. I used two pans, and flipped it into the bigger pan. 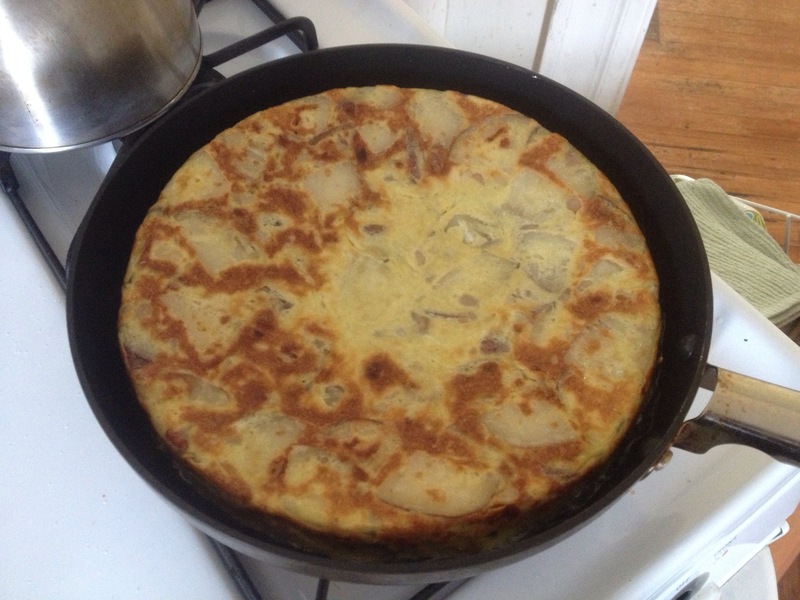 It’s boring, but it’s delicious, and it brings back memories of my trimester abroad in Spain. My host family’s domestic assistant, Cameron, made it frequently.